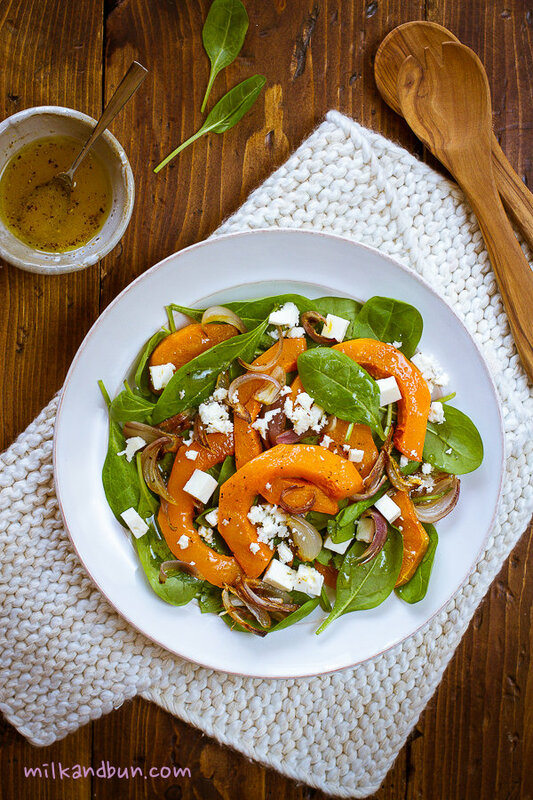 Arrange butternut squash and onion on a baking tray, drizzle everything with olive oil, plus squash with juice of 1/2 orange. Roast in preheated 180C oven for 25 minutes or until squash is soft. For the dressing, in a small jar combine all ingredients and shake well. *Adjust to your taste by adding more vinegar or oil. 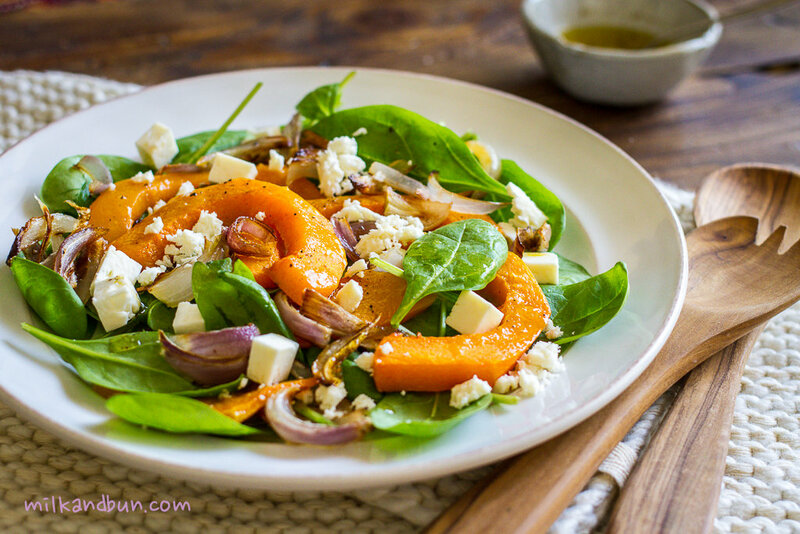 Arrange spinach on a serving plate, top with warm squash and onion. Sprinkle with feta and pumpkin seeds. Drizzle with dressing. Nov24November 24, 2016 • By milkandbun • This entry was posted in Healthy choice, Salads, Vegetables and tagged autumn recipe, butternut squash salad, cooking, fall recipe, food, food photo, food photography, food styling, photo, photography, pumpkin, recipe, spinach squash salad, winter squash salad. Bookmark the permalink. I like this colorful and crunchy salad! You are sweet as always! 🙂 Thanks for commenting! What a perfect dish for the cold fall/winter months! The salad looks like a meal in itself. This looks so inviting– and perfect now that we’re trying to et healthier after all our Christmas indulgences! Love the colors together on the plate. thanks!